There was pandemonium in Narayi community of Kaduna State on Thursday morning when protesters burnt down a church and a police outpost in the area. The church set ablaze by the youth is called Celestial Church Narayi. The protesters were reportedly angry over the death of 21 years old Sylvester Friday who was working in the church before his death, PREMIUM TIMES learnt. The mob accused the pastor of the church, 78 years old Steven Shitu, of being responsible for the death. The death occurred on Wednesday but police quickly put the pastor in protective custody because the protesters tried to lynch him. They alleged that the victim was used for ritual by the church pastor. However, on Thursday morning, the protesters gathered again, setting the church and the police station ablaze. The police had already taken the pastor away from there and there were no casualties from the violence, PREMIUM TIMES learnt. 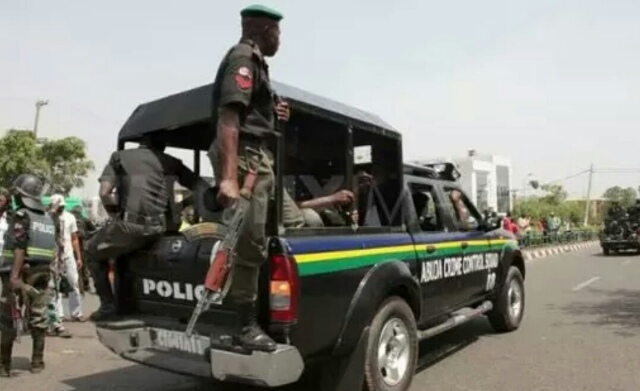 Confirming the incident, the Kaduna State Police Command Public Relations Officer, Aliyu Muktar, said five people were arrested in connection to the incident. “Yes it’s true that some miscreants set ablaze a Celestial church and a police outpost in Narayi. The church was completely burnt but the police outpost was not burnt completely,” he said. “The youth were angry that police gave the church pastor 78 old Steven Babatunde Shitu protective custody. They demanded for his released so as to lynch him. But our personnel refused to hand him over to them so they decided to take laws into their hands. “Our men dispersed them on Wednesday but they regrouped around 4 a.m. Thursday to attack the church and the outpost. So far five people have been arrested,” he told PREMIUM TIMES in a telephone interview. Mr. Muktar said normalcy has since returned to the area. He said the police will ensure all those involved are arrested and prosecuted.